If you require any vaccinations relating to foreign travel you need to make an appointment with the practice nurse to discuss your travel arrangements. This will include which countries and areas within countries that you are visiting to determine what vaccinations are required. PLEASE NOTE for the time being, we can only advise about vaccinations for travel and give routine ones that are needed. For courses of any private vaccinations eg. rabies and hepatitis B, we suggest going to any private clinic such as Dr Now and Prestwood Pharmacy. They charge the same and appointments will be quicker. This is due temporarily to a nurse shortage. See the Practice Nurse - Suzi - at least 6 weeks before departure. Vaccinations take this long to work fully and Malaria tablets have to be taken as advised before departure. Don't forget the more commonplace dangers of dirty water and gut infections (touch nothing except bottled water as drink, as ice or to wash food) and sexually-transmitted infections (use a condom). Take any medication advised to protect yourself, like Malaria tablets (previous residents returning to Africa and Asia don't necessarily retain immunity to Malaria). Take an up-to-date Euro Health Insurance Card (EHIC) to Europe so you get 'reciprocal healthcare' under that country's state system. Make sure your travel insurance is valid by disclosing any pre-existing conditions to your insurer, and sufficient (medical catastrophes in America can cost you a million). EHICs are issued on an individual basis. 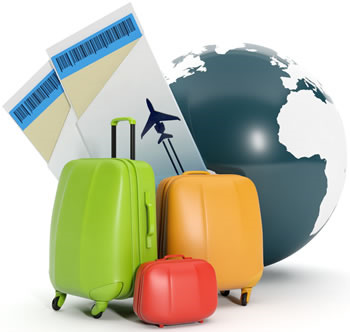 All individual travellers are therefore required to carry their own EHIC, regardless of age. If you are a UK resident entitled to NHS care you can apply for an EHIC.